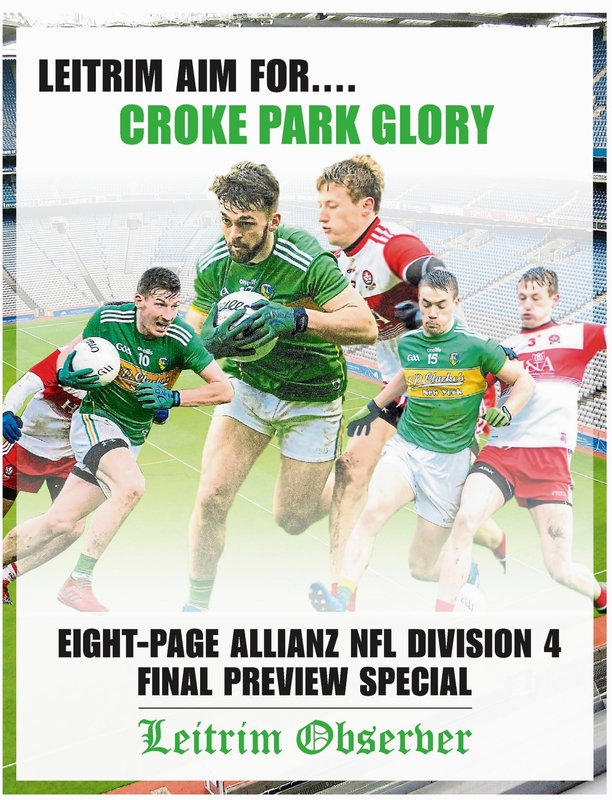 With the build-up to Saturday's Allianz League Division 4 Final going into overdrive, the Leitrim Observer brings you a special eight-page pullout preview of the meeting with Derry in Croke Park. In our special supplement, we take a look at the game on what promises to be an historic occasion for the county as Terry Hyland admits that Leitrim are ahead of schedule in their development. Also in this week's Leitrim Observer, former Leitrim star Colin Regan urges the heroes of today's team to learn from the lessons of Leitrim's appearance in the Tommy Murphy Cup Final while Derry boss Damian McErlain calls for his county's supporters to get behind the team in the face of the expected huge crowd travelling from Leitrim. Terry Hyland also reflects on the victory over Waterford last Saturday while Philip Rooney reports on another heartbreaking defeat for St. Clare's CS Manorhamilton, this time their Minor Boys soccer team losing a Connacht Final to Coola VS.
And we also have a report on an historic day for Carrick Rugby Club who won their first ever piece of silverware last Sunday when they won the Connacht J2 League in Ballyhaunis.